In Denmark I love to search for traces of the past. The country has more than 28,000 protected (pre-) historical monuments, such as burial mounds, celtic fields, dolmens and rune stones. Most of them are special places to visit. 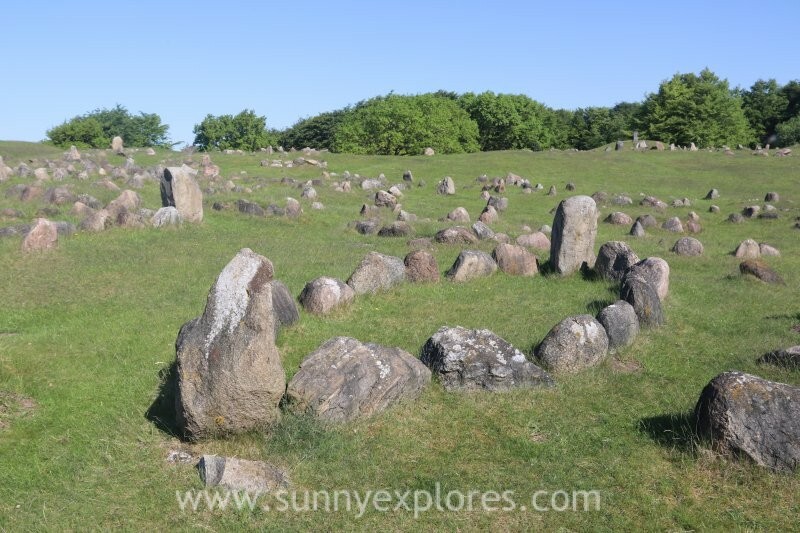 Especially the dolmens and Viking burial grounds are located in particularly beautiful areas. 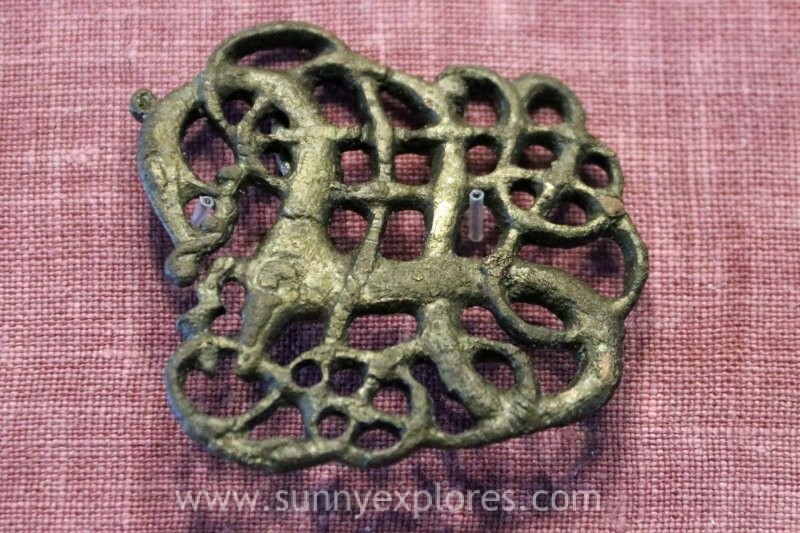 I think of all rich Danish history the Viking age captures the imagination the most. In many places you feel their presence and with some imagination you can see their dragon ships gliding past the Limfjord. According to historians the Viking age starts on June 8, 793. 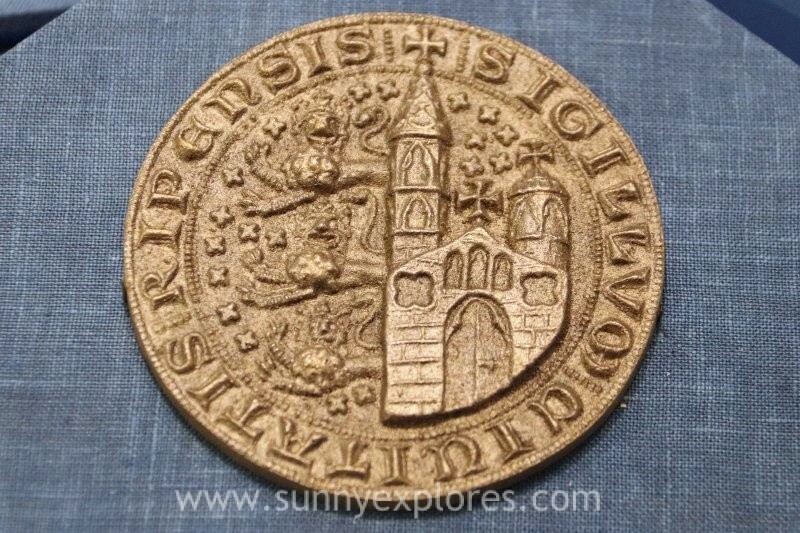 On that day a group of fighters from the north attacked the monastery of Lindisfarne in Northern England. This attack marked the start of the Vikings roaming and plundering the seas. They spread over Europe, founding kingdoms, in Scotland, Ireland, Normandy and even in Sicily. The end of the Viking age is also very closely dated. On September 25, 1066, the Vikings, led by Harald Hardrada, lost the battle at Stanford Bridge of the Anglo-Saxon King Harold II. A few months later, on October 14, 1066 , Harold II lost the famous Battle of Hastings. William the Conqueror became the first Norman king of England. Lindholm Høje is my favorite. Scandinavia’s best preserved Viking site includes the largest burial ground in Scandinavia with more than 700 graves. Due to sand drift, the burial site was covered completely by sand around the year AD 1000, which kept the places not only secret for thousands of years, but also preserved the stone markings and a newly-ploughed field in an excellent way. Lindholm Høje exhibits burial sites from both the Germanic Iron Age and the Viking Age – 682 graves and 150 stone ships have been found on the site. North of the burial site was a village where remains of houses, fences and wells have been discovered. Many of the discovered prehistoric findings are displayed at the Lindholm Høje Museum. Vikingcenter Fyrkat consists of the historic ringfort Fyrkat and a Viking farmstead of 9 reconstructed houses. The ringfort is most interesting to visit. It was built in 980 during the reign of Harold Bluetooth, the Danish Viking king. 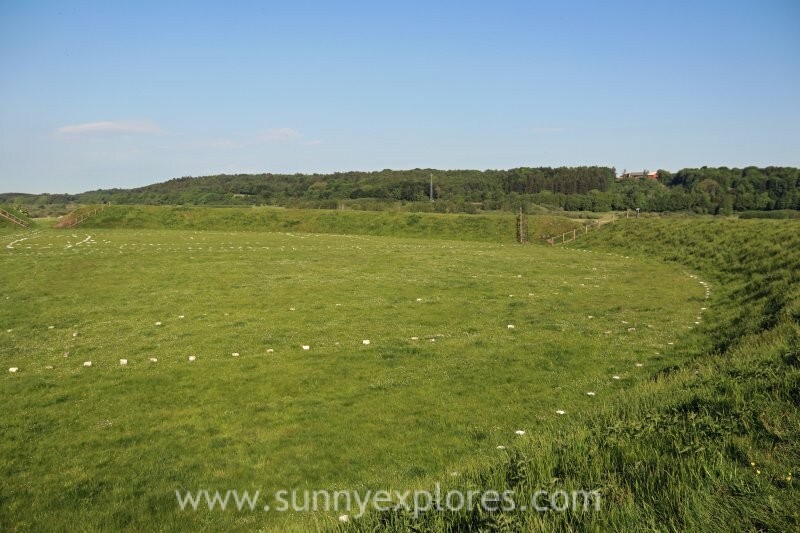 4 forts of this type with circulare ramparts round the builtup area have been found in Denmark. The Fyrkat fort consisted of 16 bow-sided long houses. They are today indicated by slabs of white stone. One of the houses has been reconstructed outside the rampart. 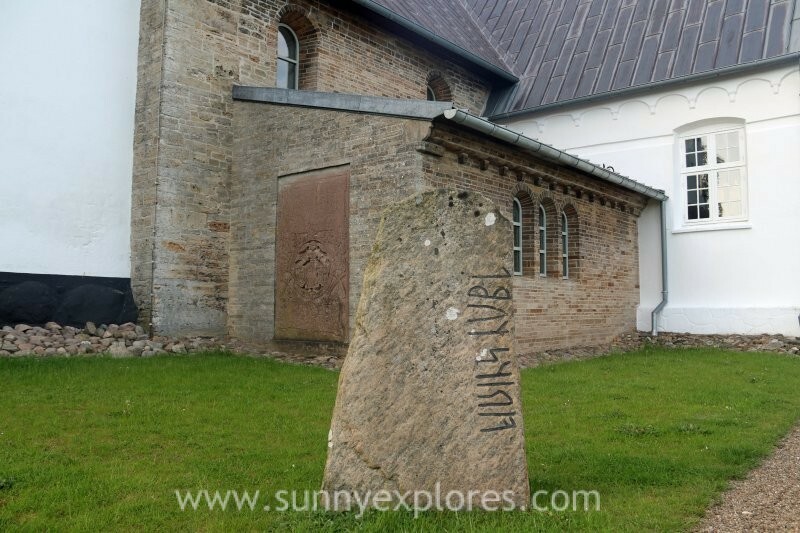 Some 220 rune stones have been preserved. The most important ones are those of Jelling, on which the formation and Christianisation of Denmark are reported. The small Jelling stone dates from about 950 and was founded by Gorm the Elder for his wife Thyra. 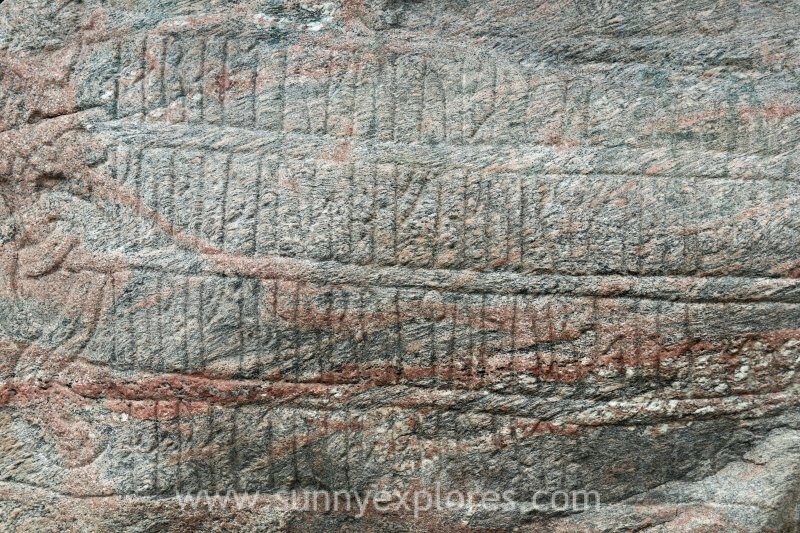 On the big stone from 960-985 King Harald Bluetooth, the son of Gorm and Thyra, commemorates his great deeds: he conquered all of Denmark and Norway and made the Danes Christians. 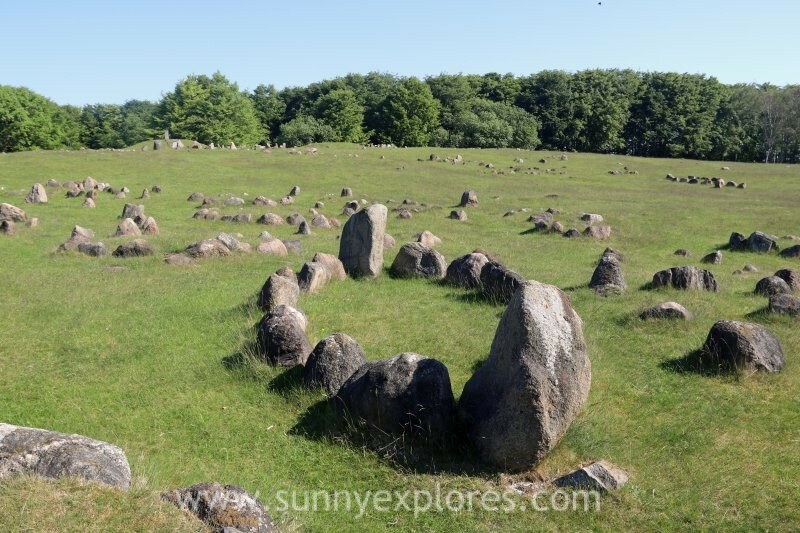 The Jelling monuments are considered Europe’s finest Viking Age monuments and they enjoy UNESCO World Heritage patronage. Ribe, the oldest town in Denmark is very well preserverd. This former Viking settlement is nowadays a friendly town with medieval half-timbered houses and a living past. A city walk along de Ribe A, through the old streets and along the Dome Church is recommended. The Vikingcenter presents reconstructions of early Ribe in the Viking time and Middle Ages. There are many more places in Jutland with tangible Viking traces, but I think the ones mentionned above are most worth visiting.